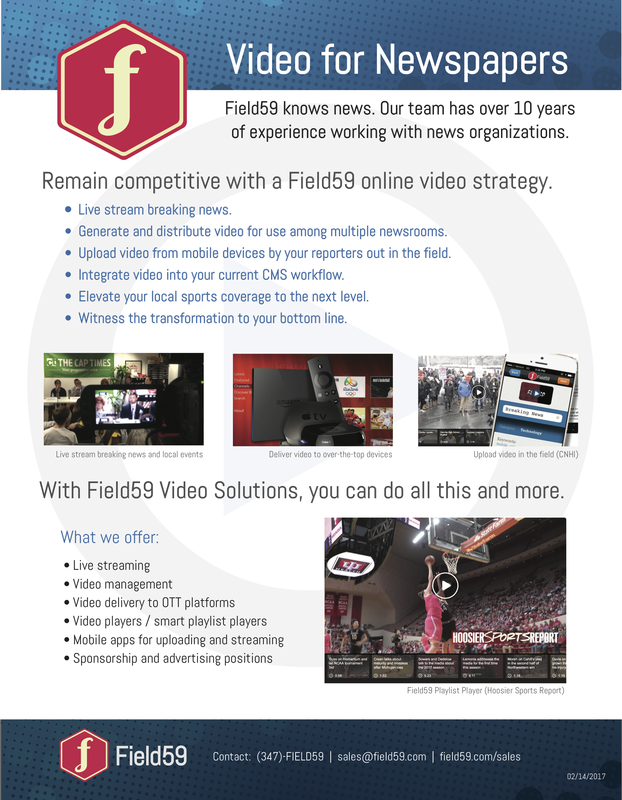 This article details how to use Newtek’s TriCaster encoder and Adobe Flash to send video streams to the Field59 live stream platform. After setting up the TriCaster encoder and the camera(s) you’ll use to capture the live stream, open the Streaming Configuration Panel in the encoder. 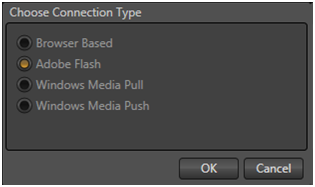 TriCaster can encode and stream to Field59 using Adobe Flash. 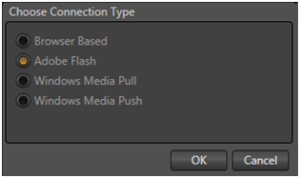 In the Streaming Configuration Panel, find the area labeled Choose Connection Type and select Adobe Flash from the list of options, then click OK. The controls presented in the header of the Configure Stream Connection panel will update. Resolution: This is up to you. Keep in mind that larger resolutions paired with higher bitrates will look better on larger screens. Bitrate: There are three options here. If you are streaming a standard definition (SD) signal or have limited bandwidth available, 500 Kbps is workable (though will not look great if viewers go full screen). For high definition (HD) video, 1000 Kbps (1 Mbps) is a viable minimum. Again here this may not be the best for viewers watching full screen. On full-screen presentations, 1500 Kbps (1.5 Mbps) is recommended. For full-screen HD, 2,000-3,000 Kbps (2-3 Mbps) is recommended. When these settings are in place, you should then be able to use the TriCaster encoder to stream to the Field59 platform.